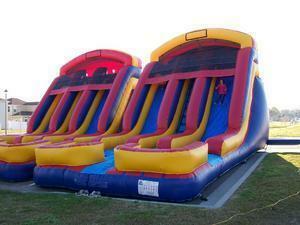 27L*18W*18.5H Great for larger parties or for kids would love to race to the bottom of the waterslide. Holds adults up to 200 pds. Adults and Children need to play on slide seperately.